I do like these new small independent watch companies. Why you ask. Well, I find their product offering interesting. Their service can be pretty good (sometimes and not all) and they are out to please (but not overboard or financially unreasonable). I like them as much as I like watches from the 'big boys'. I also like the fact that some of these owners have gone and revived old names, like Smith, Precista, Stowa, Tornek Rayville among others. You can now get a modern version of an old name. How cool is that. Some of the brands do offer what I think are real tool watches that I do not worry about using, like the SAR watches from Marathon. Built like tanks (and looks like them as well). There are some concerns as well. Longevity is a main concern. After sales service is another. Some independent brands have become a victim of their own success, having demand for their watches way outstripping supply. Some can take a year or two before you actually see the product. Of course these brands can overcome the issue of after sales service by using stock standard movement like the ETA2824, Miyota movements or even Selita movements which any competent watch maker should be able to service. 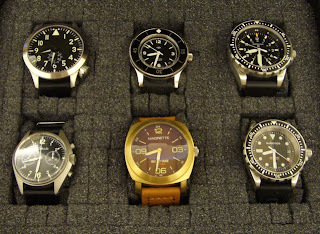 Anyway, these are some of the watches that I have from the independent boys. I like them and wear them in rotation. 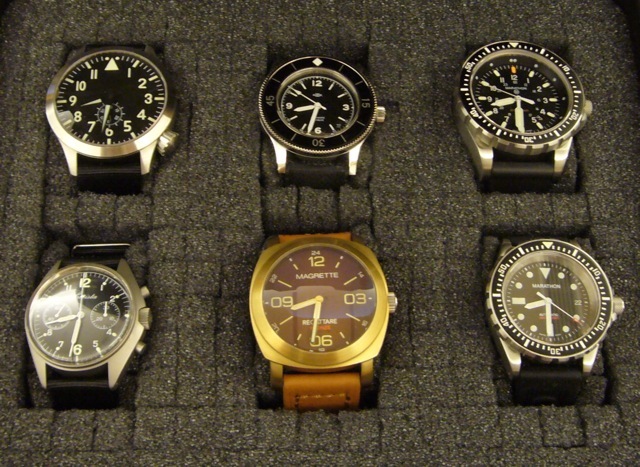 The mechanical boys, from left, top to bottom, Maratac Pilot watch, MKII Stingray (very popular but no longer in production), Marathon JSAR (modified), Precista PRS-5 (from Timefactors), Magrette Regattare Bronze and the Marathon SAR. 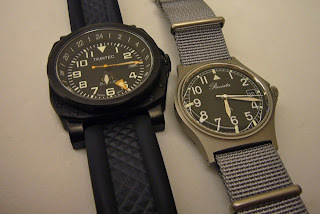 The quartz boys, from left, Trintec Zulu-05 GMT and Precista PRS-10. I guess everyone had to start somewhere. The big boys were small and independent once.